Title: Hanging with the New Patient Maven, Dr. Brad Glowaki, Again! Description: The 2012 California Jam countdown continues as Dr. Lamar sits down with the New Patient Maven and Cal Jam Staple, Dr. Brad Glowaki. Plus… Dr. Billy DeMoss drives the Cal Jam Choo Choo Train right into the SCR studio for a quick chat and to offers listeners a cool deal. 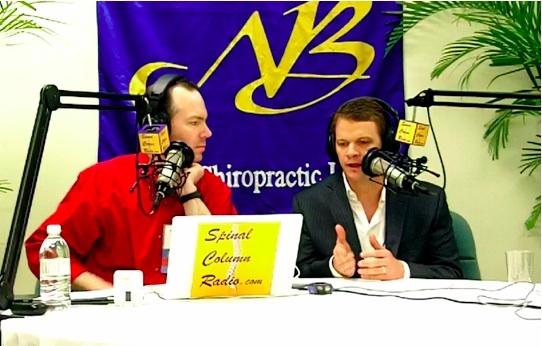 (Interview with Dr. Brad recorded On Location at the Spring 2011 New Beginnings Chiropractic Weekend in Long Branch, New Jersey). Dr. Thomas Lamar interviews Dr. Brad Glowaki at the Spring 2011 New Beginnings Chiropractic Weekend.